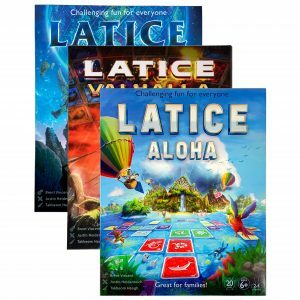 Latice (‘Lattice’) is an award winning new classic strategy card game for 2-4 players: you win by being the first to play all of your cards. 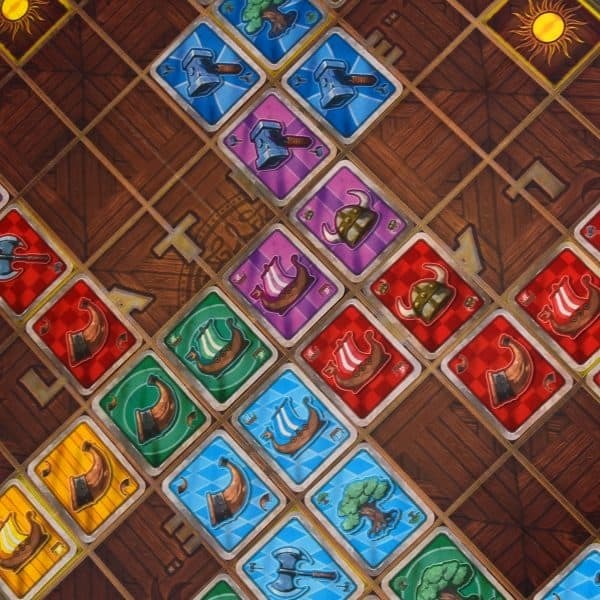 Popular for adults, viking raiding parties (up to 8 players with 2 sets), most kids (boys and girls ages 6 years and up) or families. Challenging fun for everyone! 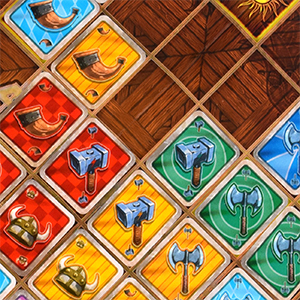 We know you’re mighty enough to match strength with Thor the god of thunder, but could you match wits with Loki or Odin of Asgard? 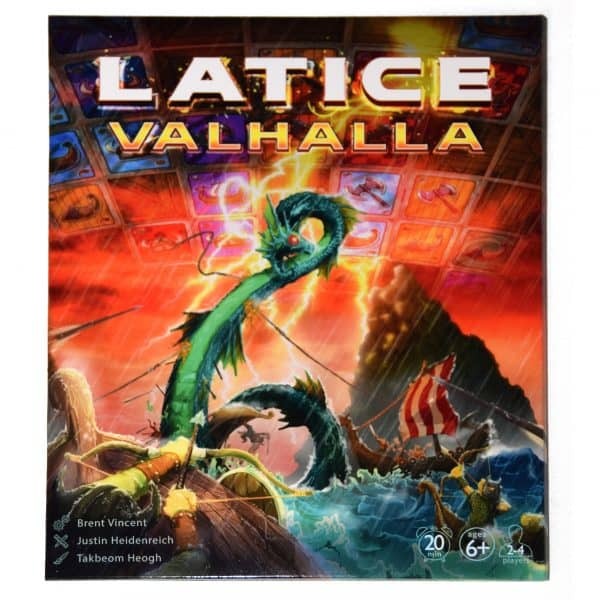 Imagine your own Norse mythology at home or challenge your friends online with the free iOS and Android app (find us in the App Store or Google Play Store under “Latice Strategy Game”). 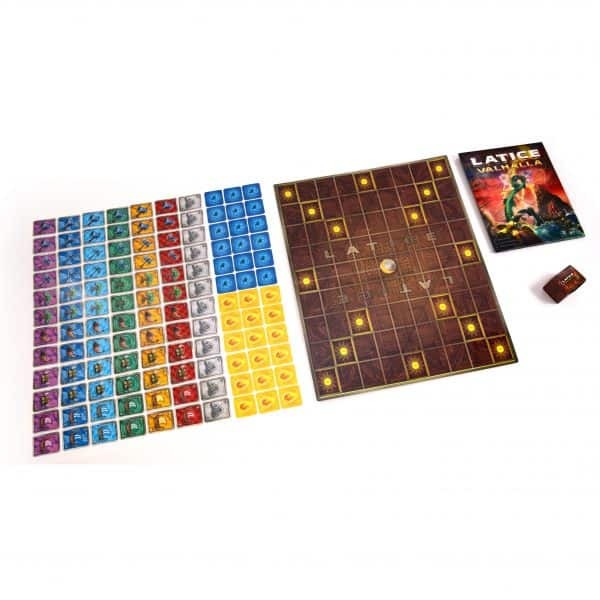 2018 Latice value card games include 120 cards (across 6 card sheets), 14.1×17.5″ laminated card stock board, storage folder, tuck box and instructions. Made in the U.S.A. 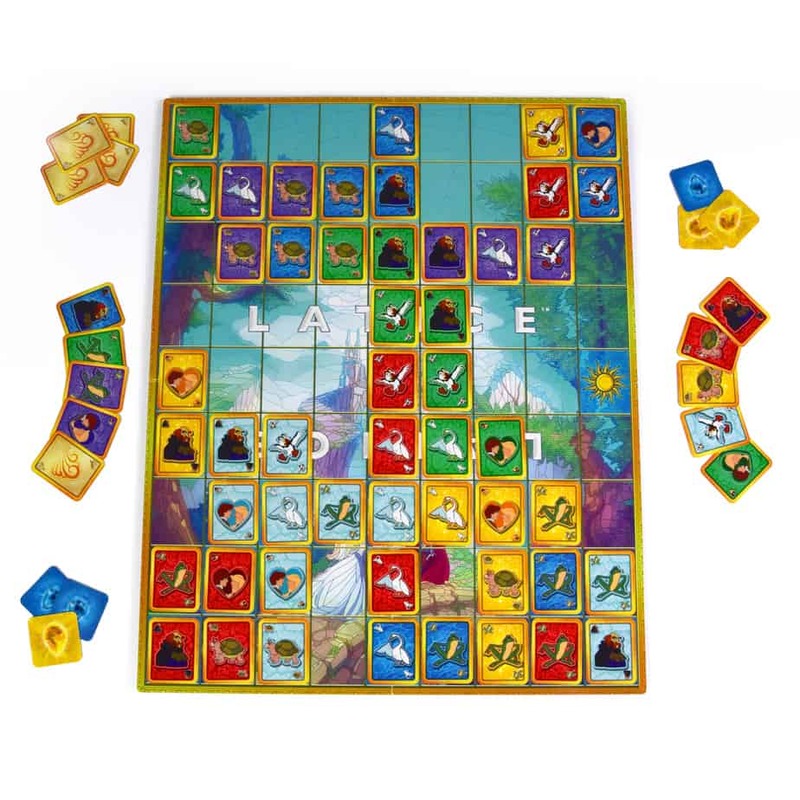 Explore the far reaches of the nine realms with Latice, a new classic strategy board game where simple rules combine into surprisingly deep strategies. 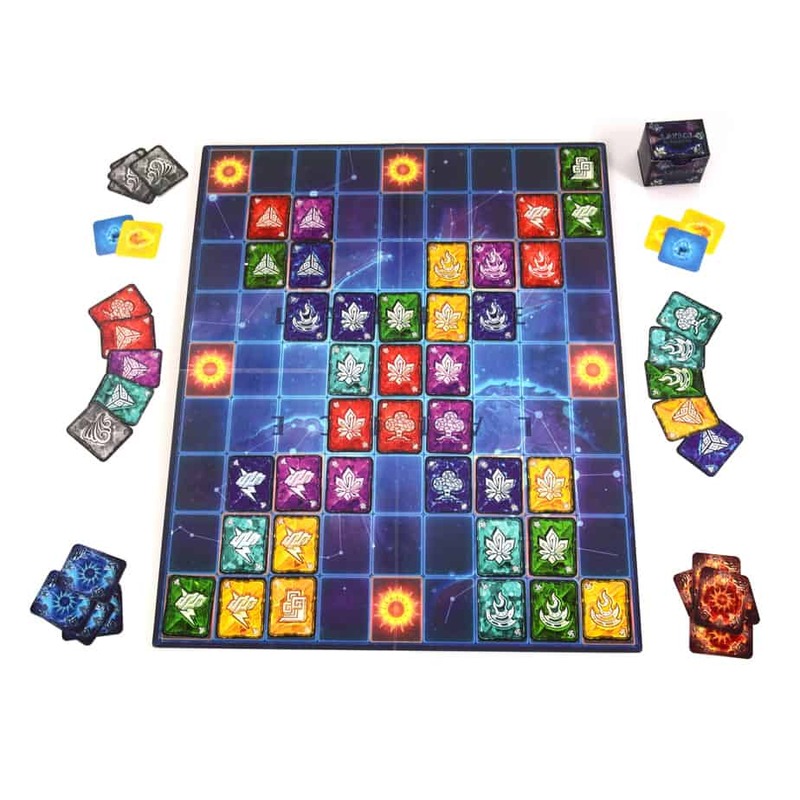 Match cards by color or shape. 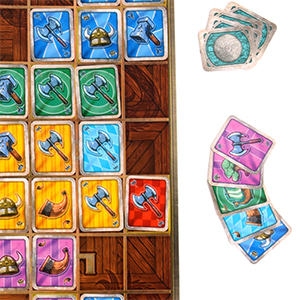 Match on two, three, or four sides to earn extra moves. Use wind cards to shift other cards on the board and get ahead. 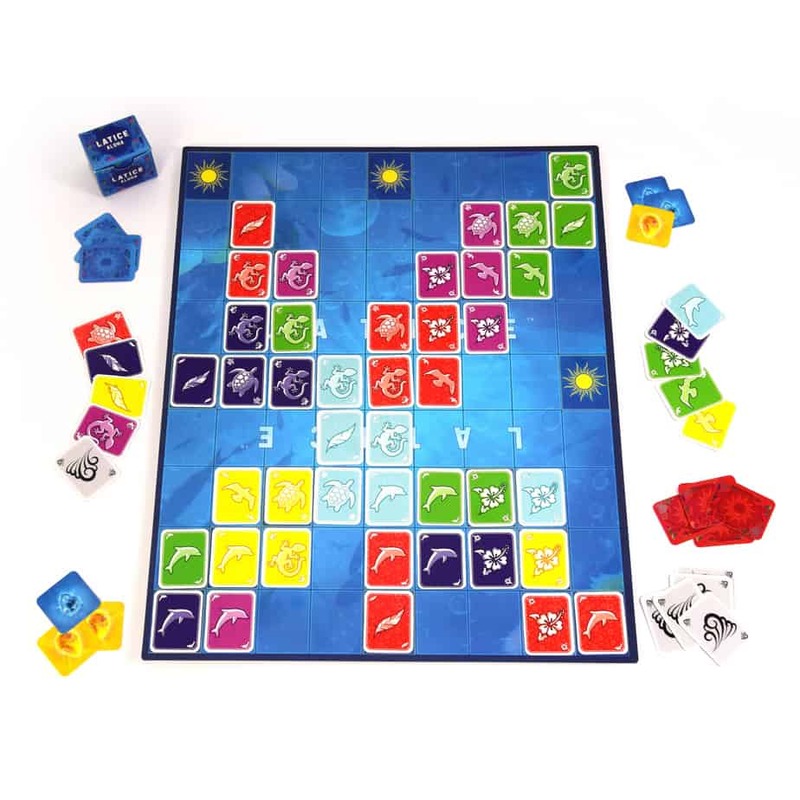 Win by being the first player to play all your cards. No Language, Age, or Gender barriers. Color-blind accessible through patterns on the cards. Multilingual instructions available for free on our web site. 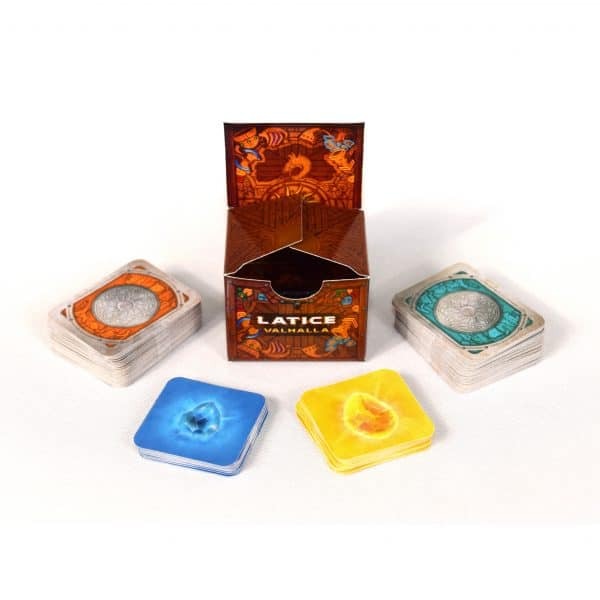 100% game, 0% air: 2018 Latice value editions ship “flatter than a pancake” for maximum portability. 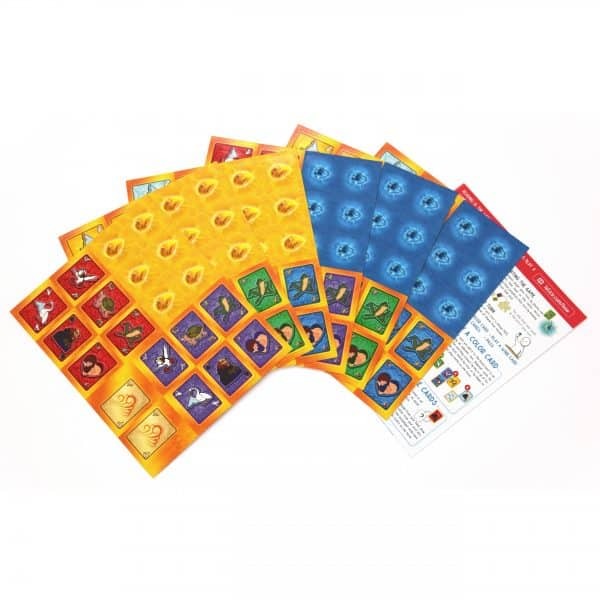 A great value with 120 cards (across 6 card sheets), 14.1×17.5″ laminated card stock board, storage folder, tuck box and instructions. Everyday made better: we listen to customer feedback and continuously fine-tune every detail to make our work better. 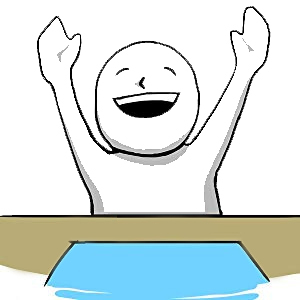 Level Up & Have fun! 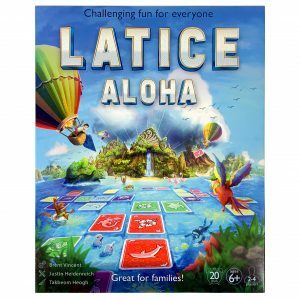 Latice encourages strategic thinking and development of cognitive, spacial recognition, planning, and interpersonal skills. 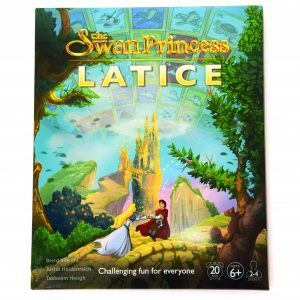 We think Latice is more fun than a box full of frost giants! 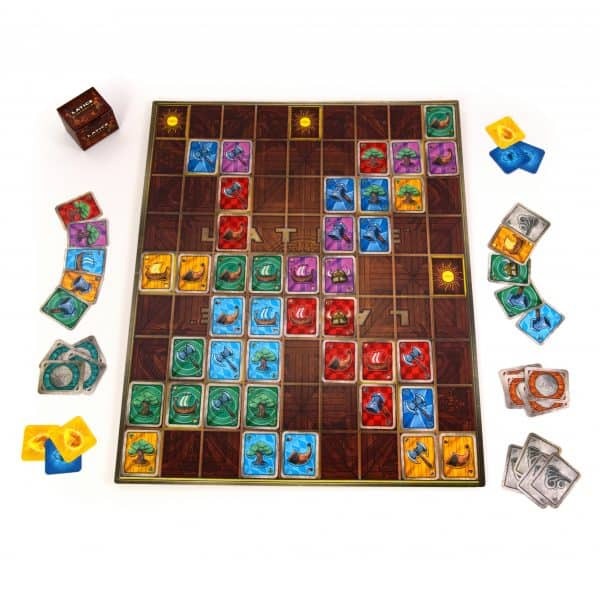 It’s perfect for parties and game nights and a great way to get the fun going and bring guests together. 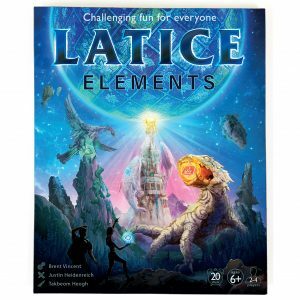 Latice combines simple rules with evolving game complexity for a unique game that’s easy to learn, fast to play (most games take 7-10 minutes per player) and with strategic potential to last a lifetime. 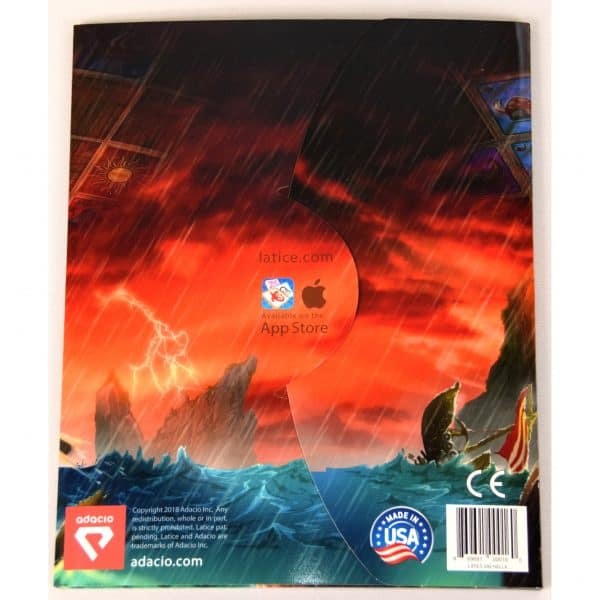 Launched in 2017, this kickstarter-backed card game includes 120 cards (across 6 card sheets), 14.1×17.5″ laminated card stock board, storage folder, tuck box and instructions.